Glick Woodworks is a second-generation, family-owned business with over 20 years of shed building experience. The quality products we offer are built by Amish craftsmen, Dan and David Glick. Our company sells the highest quality Amish sheds in Lancaster, PA! We also serve surrounding areas and offer sheds in Harrisburg, PA, sheds in York, PA, and sheds in Maryland. At Glick Woodworks we take pride in our work and strive to provide each of our customers with quality and custom-made products. When you choose to work with us, you are not only saving money, but also buying directly from the manufacturer! If you are looking for a variety of custom storage sheds, barns, garages, and buildings go to us at Glick Woodworks. We have everything that you need to choose the perfect shed for your home or business. No matter if you are seeking a unit already made or if you would prefer to order a custom storage shed, we design and build our products just the way you like them! Our years of experience manufacturing garages and storage sheds in Lancaster, PA allow us to custom design and build any structure to suit your preferences. Each product we build is conveniently low-maintenance and will add beauty to any property. When you work with us, you know that you are getting outstanding customer service that you cannot find anywhere else! 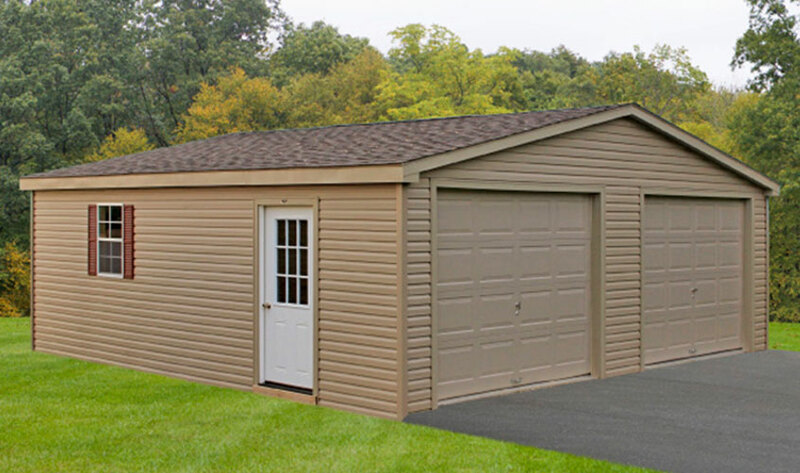 We will deliver any custom shed in PA for free up to 20 miles from our shop, which is located in Mount Joy, PA. The services that our company offers will not let you down! This is why each one of our quality products at Glick Woodworks has a 3-year warranty. Contact us today to get a custom quote on your next project! "We are extremely satisfied with our shed. The team that did the site work and installation were hard working and professional. They worked all day without taking any breaks and completed the site excavation work and shed installation in less than 6 hours!"